Elizabeth is an Associate Professor at the Japan Aerospace Exploration Agency (JAXA), Institute of Space and Astronautical Sciences (ISAS). Her research uses computer models to explore the formation of planets and galaxies. 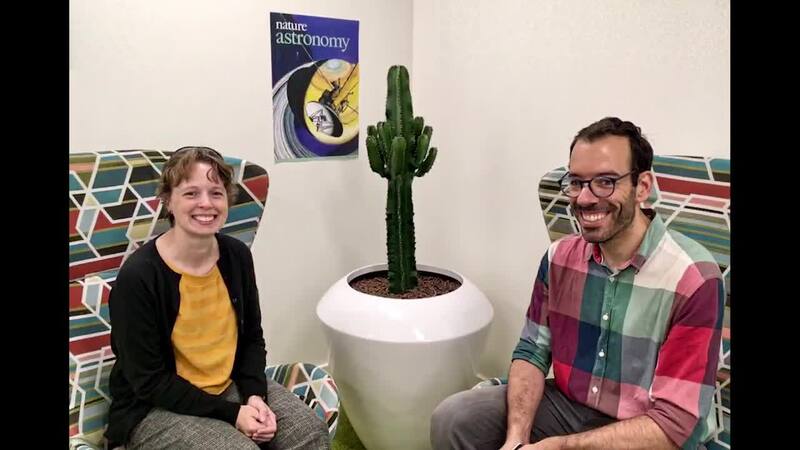 Elizabeth very kindly stopped by the Springer Nature London office recently to give a fascinating talk on the search for Earth-like planets beyond our own Solar system. Marios grabbed a few minutes with Elizabeth pre-talk for a quick Q&A. It was a pleasure to get Elizabeth's view on these very exciting questions! Thank you Ruth for being our camera and sound-woman for this impromptu interview.